The Pioneer Security Life Insurance Company, is a member of the American-Amicable Group along with the Amicable American Life Insurance Company of Texas, Pioneer American Insurance Company and the Occidental Life Insurance Company of North Carolina. All four companies are headquartered in Waco, Texas. American-Amicable Holding, in turn, is a subsidiary of IA American Life Insurance Company. IA American and its sister company, Industrial Alliance Pacific Insurance Financial Services, Inc are themselves parts of Alliance Industrial Insurance Services, Inc a vendor of life and health products based in Canada. Alliance Industrial was founded in 1892, in Montreal. It was not until more than 100 years later that the company began doing business in the US after its merger with the Industrial Alliance (IA) US branch. Like the other insurance company members of the American-Amicable Group, the Pioneer Security website does not provide much detailed information about its products and programs. 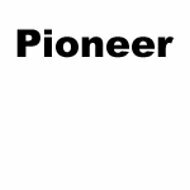 Forms, policy, and billing information may be accessed from Pioneer’s policy services page. Being a Texas based company, there is also a page where Spanish speakers may access bilingual company representatives.